You can create a new entry if you have privileges to create a new entry. Select a site from the site list. Tap "create icon" on right upper side to create new entry. Tap "Create Entry" on action sheet. At the creation of a new entry, you can use block editor in the "body" and "extended". See below for detail for block editor. 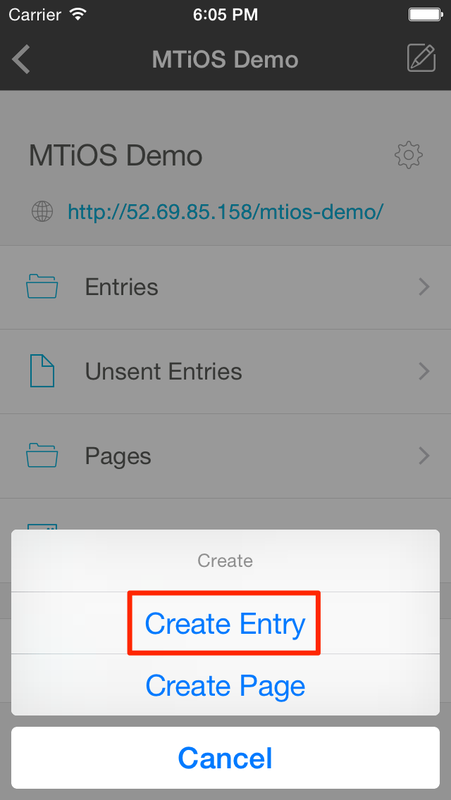 You can edit an existing entry if you have privileges to edit entries. 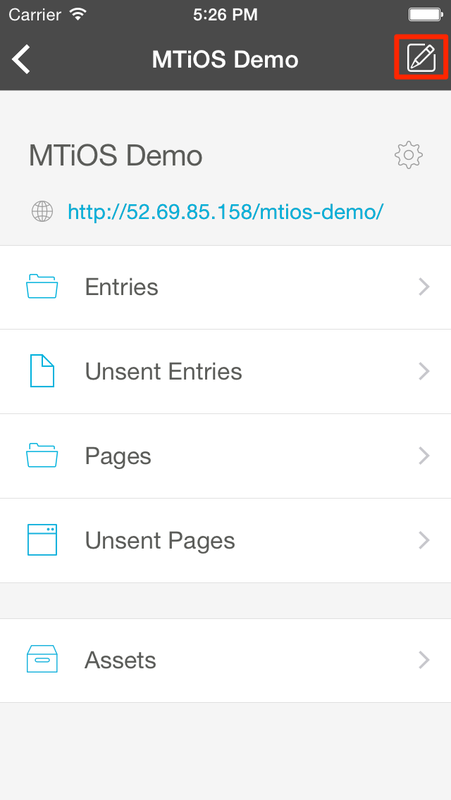 Tap "Entries" to go to list of entries. 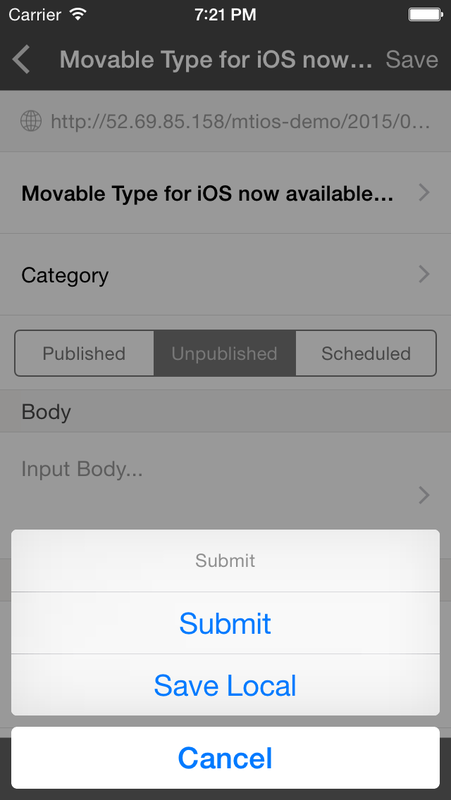 Tap an entry title to edit the entry. 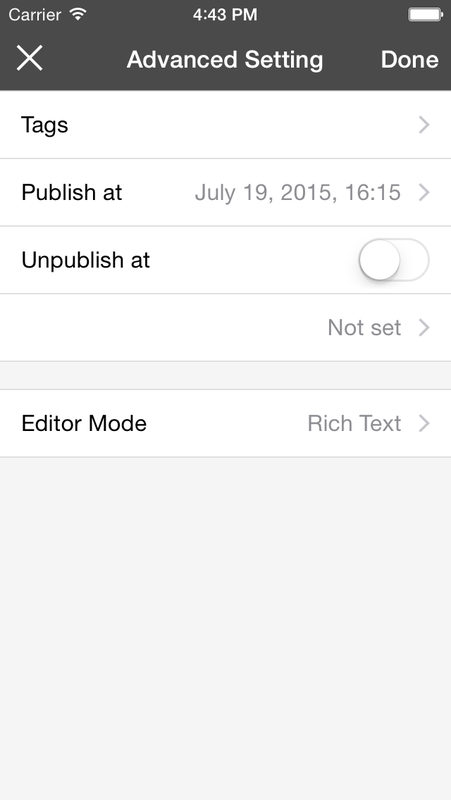 The block editor and rich text editor are not available in the editing of existing entries. To set the category for the entry, select a category from the category list by clicking the [category]. If you choose multiple categories, you should select primary category in the next screen after you click [Done]. You can specify tags, Published Date and Unpublished Date in the Entry Setting Screen. To move to the Entry Setting Screen, tap the Setting icon on left bottom side. 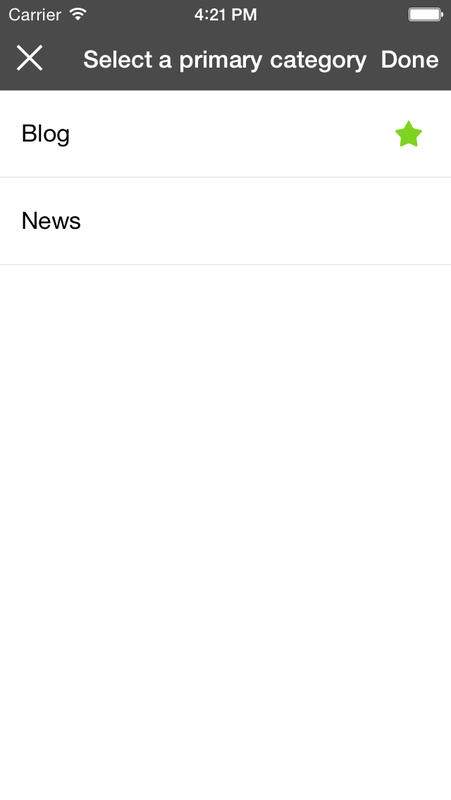 If you want to publish this entry in the future, you can select [Published Date] as a future date and time, also select [Publish Status] as [Scheduled]. 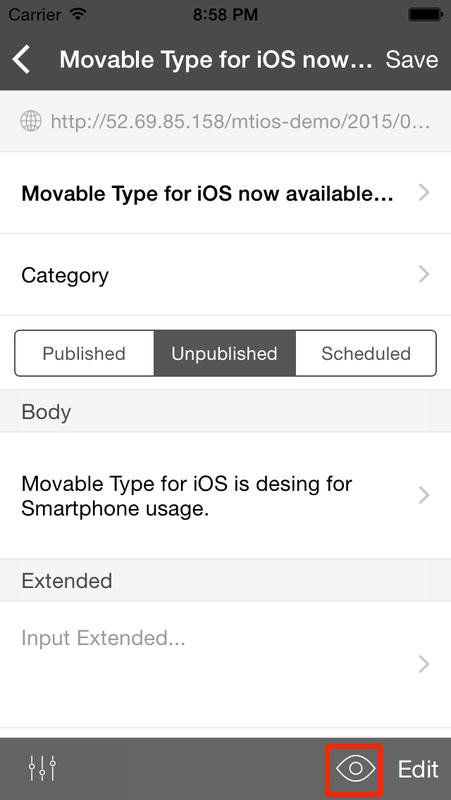 In Movable Type for iOS, you can switch the show/hide for each items. Also, you can change the display order. Tap [Edit] on right bottom side to show/hide or changing order. Tap Green/Gray icon on left side to switch the show/hide item. Tap and drag and drop hamburger icon on right side to change the item ordering. When you've finished editing the entry, you can determine the destination to save. 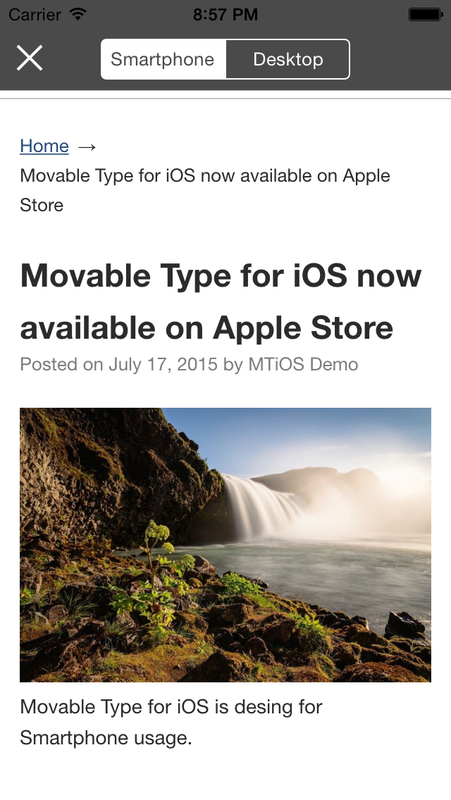 Create or update the entry in Movable Type. 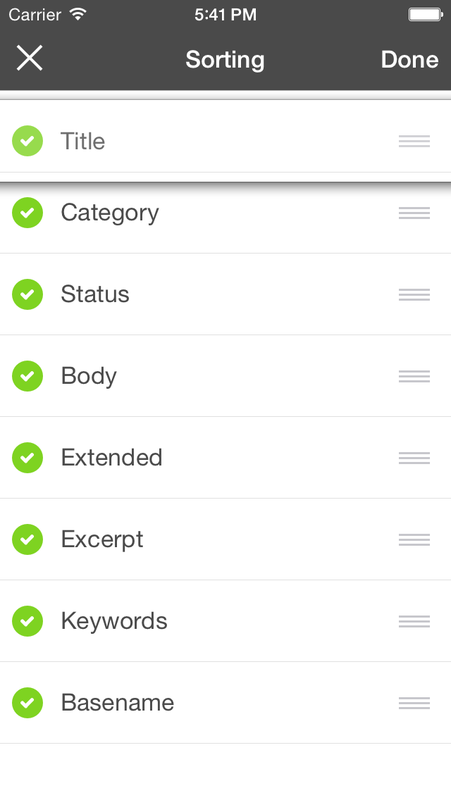 If the [Publishing Status] is 'Published', the entry will be published and index and archive templates will rebuilt. When saving the entry locally, the entry will never be sent to the Movable Type regardless of the [Publishing Status]. 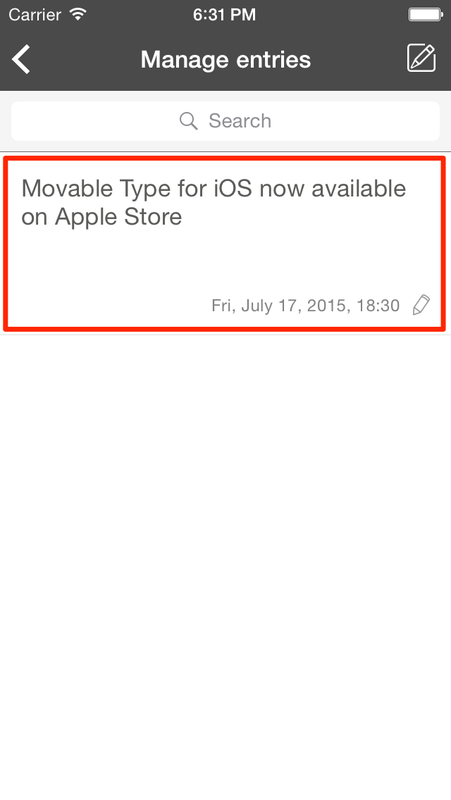 You can make a preview without saving to Movable Type. 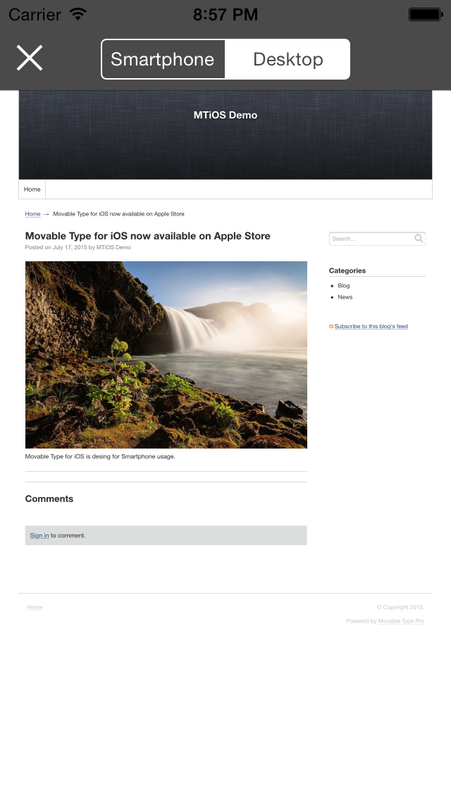 In the preview, you can view by switching both Desktop view and mobile view (if the site has been applied the Responsive Web Design). Tap preview icon on left bottom side to make a preview.